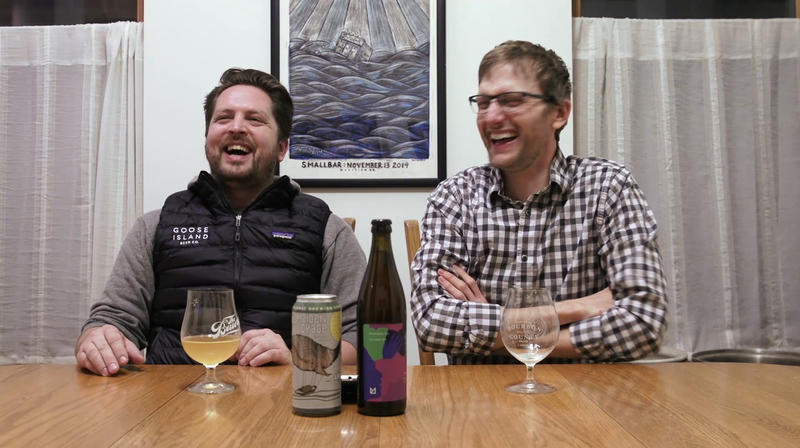 On episode 280 of the Hop Cast, Brad Chmielewski and Ken Hunnemeder open up a couple American Wild Ales. First up, the guys open the Skully Barrel No. 35 from Paradox Beer Company. This is also known as SALADITOS SALTED PLUM 2015. An 8.0% ABV beer featuring salted and dried plums. Described as a vibrant and piquant beverage meant to stimulate your mind and appetite. Which is perfect for the first beer of the episode. Following up the Saladitos, the guys reach for the Raspberry Sour from a brewery that they are very familiar with; Avery Brewing Company. This 6.5% ABV was aged in oak barrels and is quite different then the beers you usually see from Avery. Everyday more and more sour and wild beers are hitting the market. It can sometimes take a while for your taste buds to get used to the flavors but keep exploring and see what you find. Having issues listening to the video? Try the Quicktime (539.6 MB) or subscribe to the podcast on iTunes or Stitcher. 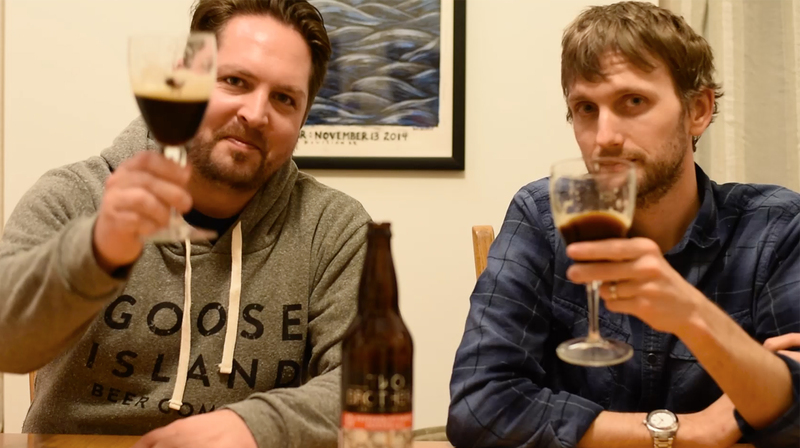 On episode 279 of the Hop Cast, Brad Chmielewski and Ken Hunnemeder are drinking a few local Chicago beers. First up, is the Maiden Voyage, a year round Rye India Pale Ale from Aquanaut Brewing. Aquanaut Brewing is still fairly new to the Chicago craft beer scene and their cans have only been on the shelves for a few months now. The guys have always been suckers for Rye beers and this 6.0% ABV beer doesn’t disappoint. 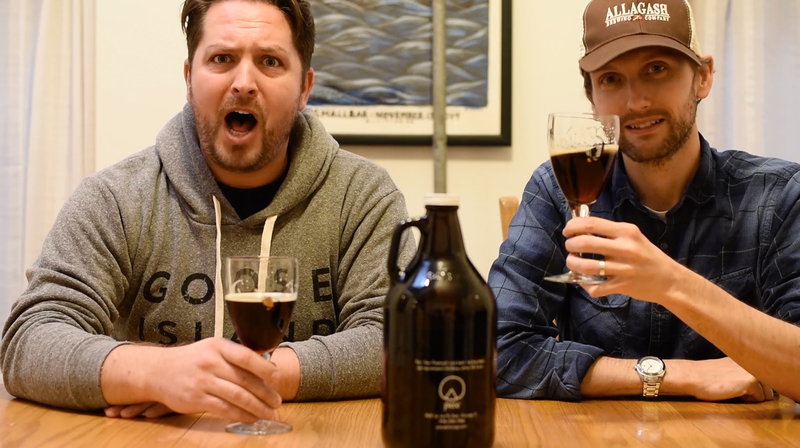 Sticking with the local and Rye theme, Brad and Ken reach for the Miserable Rye from Marz Brewing. Marz has been making some great beers and really making a name for themselves on the south side of Chicago. If you’re outside of Chicago, these beers might be hard to get your hands on but if you ever do see them, be sure to give them a try. Having issues listening to the video? Try the Quicktime (578.6 MB) or subscribe to the podcast on iTunes or Stitcher. 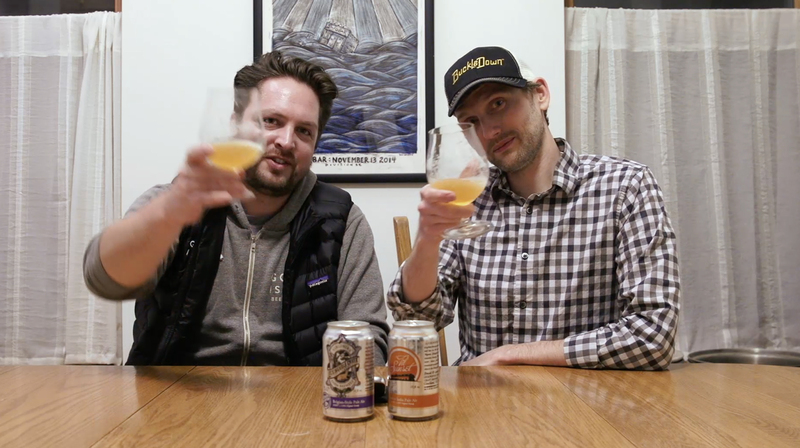 On episode 278 of the Hop Cast, Brad Chmielewski and Ken Hunnemeder jump into a couple pineapple beers. With summer coming up, it’s always nice to grab a beer that’s refreshing and not just a hop bomb. First up, the guys open the Pineapple Kumquat Berliner Weisse from Perennial Artisan Ales. Brad and Ken have been long time friends with the guys from Perennial and they really make some fantastic beers. This 4.2% ABV Berliner Weissbier is fruity, tart and delightfully refreshing. Following up the Berliner Weissbier, the guys move onto a beer they are very familiar with; Pineapple Sculpin. This 7.0 % ABV IPA is available year round in 12oz bottles and on draft. Ballast Point has been all in on these fruit variations of their beers and it’s always a treat to give a new one a try. Having issues listening to the video? Try the Quicktime (486.9 MB) or subscribe to the podcast on iTunes or Stitcher. On episode 277 of the Hop Cast, Brad Chmielewski and Ken Hunnemeder have ventured out of Illinois to check out the new Haymarket Brewery that will be opening in Bridgman, Michigan. Joining them on this episode are a couple of guys you might be familiar with Pete Crowley and John Neurauter. It seems like the guys have been in this situation before when they watched Haymarket Pub & Brewery in Chicago come together over five years ago. This is a big step for Haymarket as they grow and expand into distribution. Soon more people outside of Chicago can finally enjoy some of their award winning beers. Having issues listening to the video? Try the Quicktime (1.18 GB) or subscribe to the podcast on iTunes or Stitcher. On episode 276 of the Hop Cast, Brad Chmielewski and Ken Hunnemeder are heading down to the Lickinghole Creek. Yes, you read that right. The brewery is called Lickinghole Creek Craft Brewery in Virginia. First up, Brad and Ken open up the Magic Beaver, a 5.5% ABV Belgian Pale Ale. This beer was named after the Magic Beaver pond on the farms property. Following up the Magic Beaver, the guys taste ‘Til Sunset. Coming in at 4.70% ABV this is Lickinghole Creek’s Session India Pale Ale. This beer is generously hopped with American Centennial and dry hopped again with even more Centennial for a fantastic hop flavor profile. Having issues listening to the video? Try the Quicktime (668 MB) or subscribe to the podcast on iTunes or Stitcher. 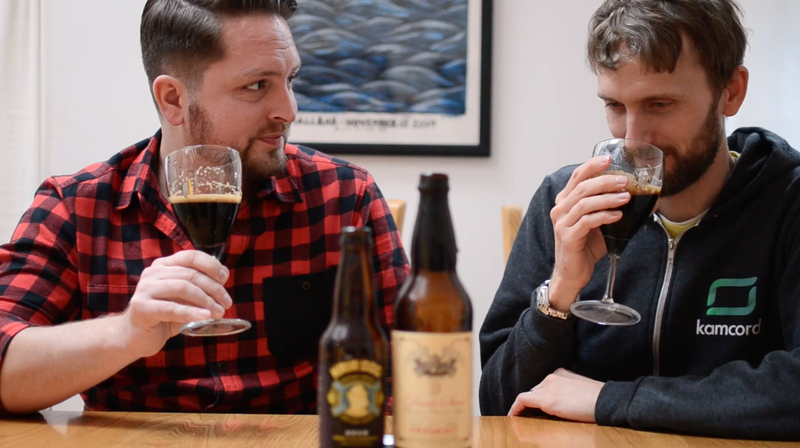 On episode 273 of the Hop Cast, Brad Chmielewski and Ken Hunnemeder are back and opening a couple Midwest Milk Stouts. First up the guys dive into the Neapolitan Milk Stout from Saugatuck Brewing Company in Michigan. This 6.0 % ABV beer is one you need to try at least once. Overall, it’s pretty amazing that they are able to get all three flavors to come through in this beer. Following that up the guys move on to a 7.10 % ABV Milk Stout from 4 Hands Brewing called Absence of Light. This is their new and improved Peanut Butter Chocolate Milk Stout and still packs all the same flavors you loved. 4 Hands has several Milk Stouts they brew so they must be doing something right. Having issues listening to the video? Try the Quicktime (614.5 MB) or subscribe to the podcast on iTunes or Stitcher. On episode 272 of the Hop Cast, Brad Chmielewski and Ken Hunnemeder are back with a couple local beers to help warm you up this winter. First up the guys dive into the 10 % ABV Santa Vs. Unicorn from Pipeworks Brewing Company. This Imperial Red Ale, American Style Barleywine or Red Double IPA as they are calling it, packs a big bunch. Although Christmas might be gone there is a chance you may find a bottle or two still around. Following up this 10% ABV beast, Brad and Ken move onto the Peppermint Bark Porter from Two Brothers Brewing Company. This 6.70% ABV American Porter is something you really need to taste to get the full effect. Although the Hop Cast isn’t always 100% behind weird things in their beers, the Peppermint Bark Porter is something you’d likely pick up to share with friends, you don’t want to drink this whole bottle yourself. Having issues listening to the video? Try the Quicktime (693.4 MB) or subscribe to the podcast on iTunes or Stitcher. On episode 271 of the Hop Cast, it’s December 23rd and it’s Festivus. To celebrate Festivus we have the perfect beer on this episode, Festivus Ale from Piece Brewery. Brad Chmielewski and Ken Hunnemeder make a trip down the street to Piece Brewery on North Avenue to pick up a couple growlers to celebrate this fabulous day. The first growler they dive into is the Memories of Now, a collaboration beer between Piece’s Jonathan Cutler and Matt Brynildson, the brewmaster of Firestone Walker Brewing Co. in Paso Robles, California. It was Brynildson’s first time brewing on the system that he helped install for Piece in 2001. After a glass or two of the Memories of Now, the guys move onto the 8.0 % ABV Belgian Dark Ale known as Festivus. This is a beer that the guys always make a special trip to try at Piece every year. This episode is a true Festivus miracle, cheers & thanks for watching the Hop Cast! Having issues listening to the video? Try the Quicktime (646.3 MB) or subscribe to the podcast on iTunes or Stitcher.